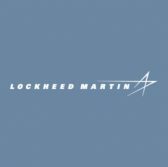 Lockheed Martin received a 2019 ENERGY STAR Partner of the Year award from the Environmental Protection Agency and the Department of Energy for the company's energy efficiency initiatives. EPA and DOE recognize joint program partners that have demonstrated commitment, innovation and leadership to save energy and protect the environment, Lockheed said Thursday. Carol Cala, vice president for environment, safety and health at Lockheed, said the company is looking for "innovative new ways to reduce our environmental impact whether through facility upgrades, technology adoption or process improvements." The ENERGY STAR program aims to help businesses and consumers implement energy-efficient practices and products.